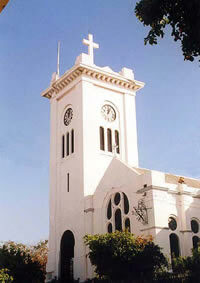 Erected around 1911 on the foundations of the original church, the Kingston Parish Church is an attractive building. 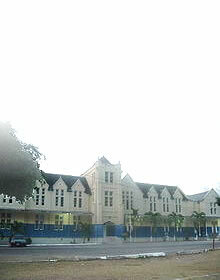 The present structure (with the exception of the tower) is similar in design to the original building, which was destroyed in the earthquake of 1907. 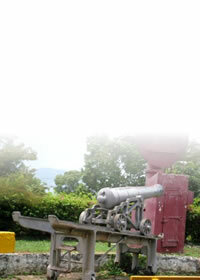 The clock tower was added after World War 1 in memory of those who had died in the war. 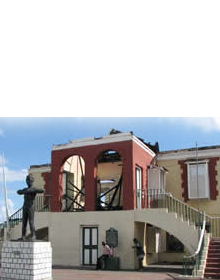 It is said that the clock tower gave rise to the saying that describes true Kingstonians ‘born under the clock’, that is, those born within site of the Church’s clock tower. Among the interesting monuments in the church are those to Admiral John Benbow, English naval officer based at Port Royal in 1702 and John Wolmer, wealthy Kingston goldsmith who left money in his will to found a school. The Church’s altar is adorned with gifts from many Jamaican families who have lived and served the church in the past, including the statue of St. Mary, a gift from the Chinese community and the statue of St. Thomas, a gift from the Syrian community.